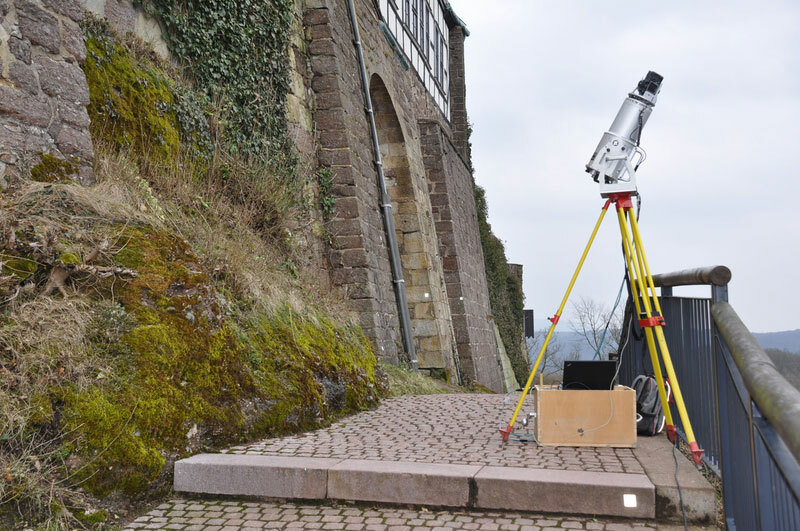 In line with the documentation of the Wartburg in 2009 and 2010, the almost complete three dimensional recording of the outer defence walls was carried out via 3D laser scanning and helicopter photogrammetry. 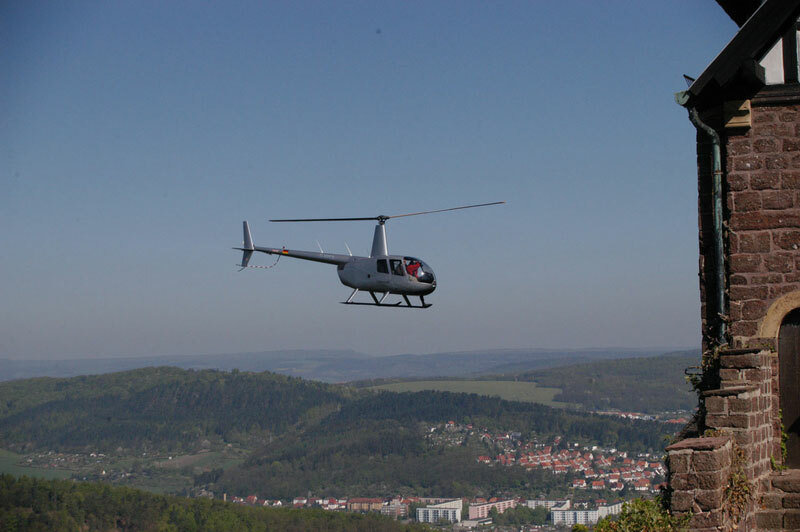 Apart from the terrestrial recordings, a helicopter was additionally used, which allowed an effective photographic documentation of the façades. The ambition was to create up to date, high resolution as-built maps of the façades as a basis for rehabilitation works. 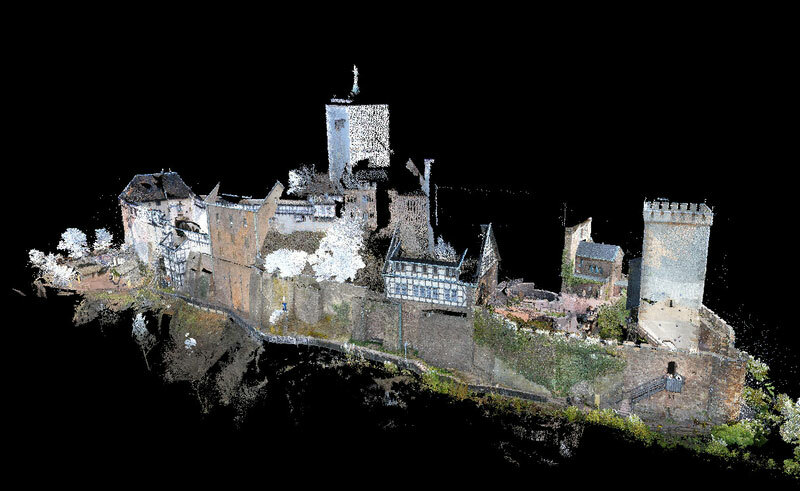 Using the 3D point clouds and photographs, high resolution, photorealistically textured 3D model of the defence walls were created. Scaled orthophotos and image maps were derived from that. 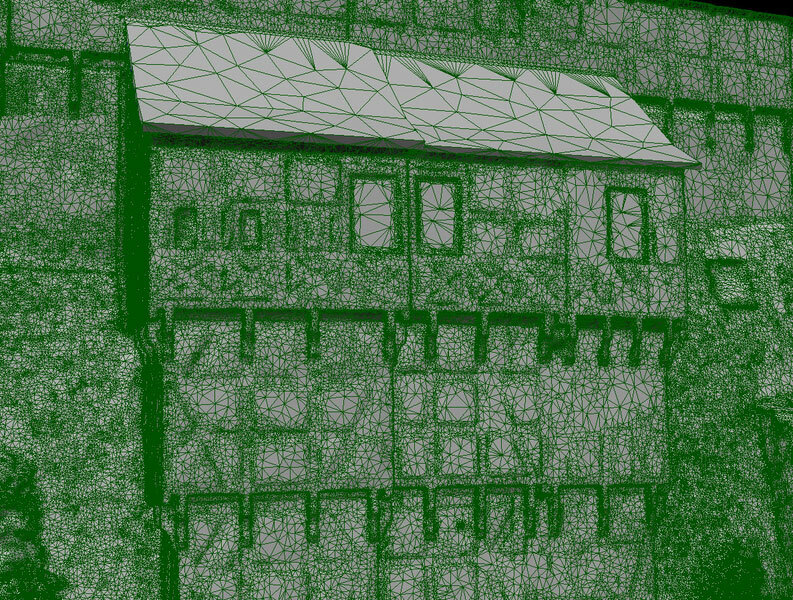 The 3D models of single defence wall areas can easily be used for damage mapping in aSPECT 3D.